Unlike the other senses, there is no language solely dedicated to the description of scent. With sight it’s easy, and upon viewing a Dali painting, one is not short of adjectives to describe the light, colour and shape within. It’s the same with sound – the latest bop from Little Mix (you cannot judge me, I feel no shame) can easily be described as a pounding earworm with perfect harmonies. I could go on and talk about taste, to comment on how we can describe something as tart or bitter, and even mention touch, where words on feel and texture reign supreme. It’s important to discuss the different senses and the language we use to describe their stimulation because it is the words from these senses that we borrow to describe scent. I had an interesting conversation with a friend recently. We were sniffing through my collection and I described a scent as having an odd texture. My friend looked at me utterly perplexed and adamantly exclaimed; “a smell can’t have a texture”. Well, he may be my friend, but he is also wrong. Smells have textures as much as they have colour, flavour and character, which is to say that they have texture in abundance. We often see scents described as ‘silky’ or ‘powdery’ and it’s amazing to think that a two-dimensional liquid can take on a three-dimensional spirit the minute it meets our scent receptors. So we’ve established that scents have texture, largely because I say so, which I appreciate isn’t the most technical and provable argument, but we haven’t yet covered the how and why. Well, it’s time for the science bit. I’m not very good at science so this will be a rather unscientific science bit if you catch my drift. It all comes down to the materials and perfumers have approximately 3,000 of those at their disposal, some of which are natural and some that are synthetics. Not all of these materials will be added to a composition to provide odour, with some used solely for stability, projection or texture. One good example of this is Iso E Super, a synthetic ketone (check me out and my science) that has a subtle woody odour when smelled in isolation but is utilised within a composition to provide expanse and lift. Perfumers can use materials such as these to create texture effects in their scents which, I’m sure you will agree, is pretty nifty. We all love a bit of softness in our lives and I often hear people saying that they love a fragrance because it comforts them. These comforting scents possess a wonderful array of textures, ranging from plush velvet to decadent powder, and all that’s in between. Perhaps the softest scented texture one can find is powder and none are more finely-milled and fabulous than Insolence Eau de Toilette by Guerlain. Iris (or orris as it’s often called) is the key here and it provides a fine dusting of delicately soft cosmetic powder, which absorbs the violet hairspray, punch pink fruits and delectable vanilla that swirls altogether in Insolence’s haze, nay whirlwind of glamour. 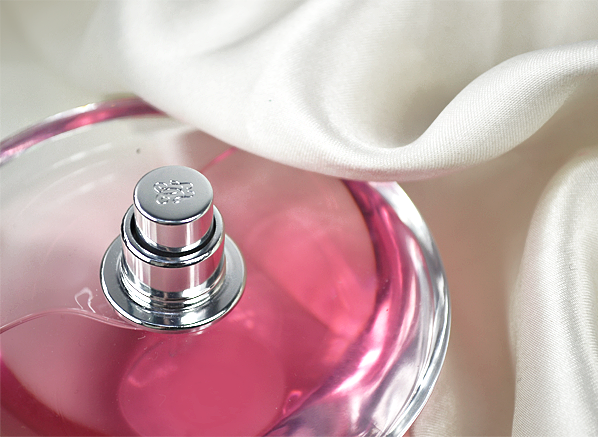 Despite its softness (it really is a pink satin pillow of a scent), Insolence is wildly unapologetic and it’s a known fact that it can be smelled from space* so it displays a softness that is large and iconic. For a more weightless appearance of soft, I’d opt for something like Cartier’s softly purring La Panthere. I don’t know about you, but as a 29-year-old man, I often find myself fantasising about glamorously rolling around on a bed of blush pink feathers. That really would be living the dream and whilst I may not have managed to achieve this goal in real life, I can do so vicariously through La Panthere. This fragrance has turned the cheesy and almost-mushroom-like headiness of gardenia petals into soft fuzzy feathers from an exotic rare bird. The texture of the scent is a clash between sharp and fluffy, evoking both the suppleness of the vane and the barbed end of the calamus. Through flowers and musk, La Panthere tells a tale of texture that is flocculent and fierce. Softness comes in many forms. Sometimes it is plush and comforting, like Insolence and La Panthere, but at others, it can be pliable and rubbery, like plastic. Gucci Rush is a scent that displays a different kind of softness, specifically a bendy, synthetic quality that brings to mind clean sheets of transparent cling film. Rush is a fantasy floral with a milky texture. It feels as if it was created in a lab by mad scientists who may know a thing or two about creating scents with an unusual feel! But what about the harder side of texture? Can a scent be rocky, steely and lead-like? Well, the answer to that question is yes it can, just as much as it can be fluffy and furry, and here are three examples to prove it. One intriguingly hard substance that can be found as a texture in scent is glass, mainly because it’s a tricky facet to find. 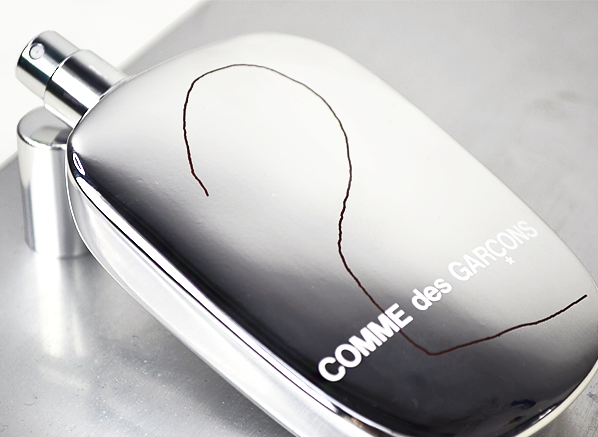 Comme des Garçons, who always make challenging and fascinating fragrances, really captured the idea of mirrored glass with Comme des Garçons 2. 2 is an inky, metallic floral with an aldehydic sheen that smells like light refracting from a pane of glass. It’s cold but expansive, creating a mirror-in-mirror effect that feels endless and somehow perfectly captures the hardness of glass, but also its fragility too. It’s nothing short of a modern masterpiece. Whenever I smell Etat Libre d’Orange’s ode to the apocalypse, the chaotic La Fin du Monde, my mind goes straight to images of scorched rubble and debris. It also heads towards buttered popcorn too, but such is the world of Etat Libre d’Orange. There’s something in this scent that feels rocky and hard, almost as if the perfumer (the incredibly talented, Quentin Bisch, remember that name) bottles a small explosion and its aftermath. How’s that for hard? Metallic notes are ten a plenty in perfumery but none are more steely than Serge the metal accord within Serge Lutens’ masterful, Laine de Verre. 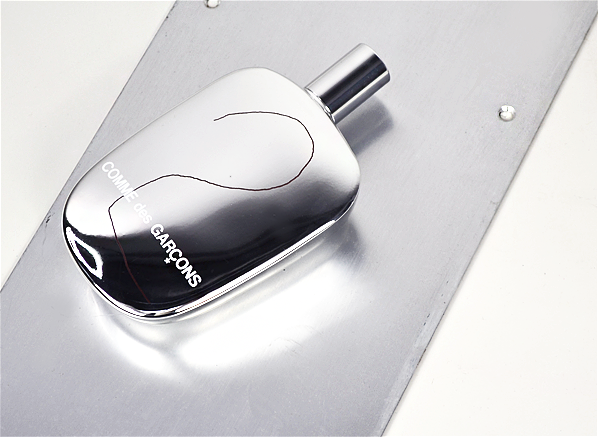 Technically, this scent is supposed to evoke fibreglass, and it does, but alongside the mint, musk and cashmere woods there is an undercurrent of metallic aldehydes that give the impression of a silver vein of steel that runs through the fragrance from top to bottom. The metal here is primal and it traverses every level of the composition to present steel at its hardest. * Not a proven fact in any way, shape or form but we are lobbying for it to be the first Guerlain in space (also not a fact). What fragrances have a strong texture to your nose? Let me know in the comments below! This entry was posted on Wednesday, February 22nd, 2017 at 4:41 pm and is filed under Candy Perfume Boy, Fragrance, Trends. You can follow any responses to this entry through the RSS 2.0 feed. You can skip to the end and leave a response. Pinging is currently not allowed. Une Rose I can feel earth crumbling in my hands,Shihan feels like Tweed .